My great-aunt Anna was somehow related to Dad. She was nothing like anyone else in Dad’s family; Aunt Anna was tallish, and skinny, and she had dark hair. Those were all things that were different from the soft shapes and colors of Grandma and Dad’s brothers and his one sister, but that wasn’t the main difference. Aunt Anna was pinched looking, like my mouth felt after sucking lemons. I loved that feel, first all sour, then like my whole mouth felt cleaned out and waiting for something new. Aunt Anna had that look, like she got all puckered up with something sour, and she would do anything keep something new from getting in. Her lips were all puckered in like Mom’s got when she was holding in a mad feeling. Aunt Anna’s clothes were always dark and straight and she wore those kinda shoes that I only saw on teachers. Come to think of it, she kinda looked like a teacher. 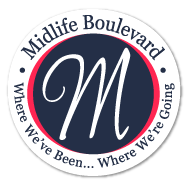 I lived about six miles from three different towns: one where our church and school and post office was, and where the telephone switchboard was; one where the grain elevator was; and one where Mom did the grocery shopping. Dad worked in the city, which was a whole lot further away. I hardly ever went there, except when Mom went to day-old bread place. Aunt Anna lived in the town where the grain elevator was. One year on the fourth of July, she asked Mom if I could go with her to the fireworks. Yippee, I got to go somewhere new, all by myself, no brothers or sisters along, and Aunt Anna only had one kid who was all grown-up and no grandkids at all. Maybe that’s why she looked so pinched up and stiff, not enough company. 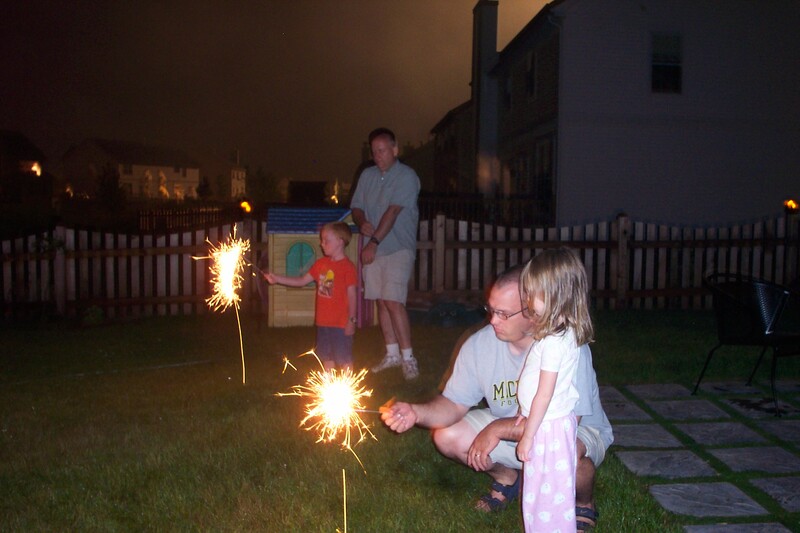 Sparklers in the Suburbs are about the same as on the Farm. I suppose it was near impossible to get nine kids in a car, late at night to go see fireworks and still be in a mood to oooo and aaaah the fireworks. I never forgot that night with Aunt Anna and the fireworks and the way her face changed when she saw how scared I was. I loved it all. As wonderful as that was, my favorite night at the fireworks was the first time my soon-to-be-son-in-law, Ryan who works road-construction joined us. He, my daughter Cecily with her two-year-old son, G-Money and me settled down on a blanket with our traditional king-sized bags of M&Ms peanuts and plenty Diet Coke; don’t ask me why. We had a front-row seat just like with Aunt Anna. Ryan kept asking, “Are you sure we’re not to close?” to which we reassured him with words like: Don’t worry, we do this every year, and an occasional, ‘don’t be such a chicken.’ The wind shifted and smoke and the smell of sulfur filled the air, and ash and little bits of paper from the fireworks rained down on us along with a few of live sparks. Ryan’s face looked a bit like a balloon blowing up, with his necks getting taller, his eyes getting big with eyebrows shooting straight up, and his mouth going in a big ‘O’ until a big giant laugh came out like a happy shout. There is nothing better than fireworks! I remember the first time I saw them; it was at a park by my house. My mom was always a little scared of them, so it took lots of convincing on my dad and my part to get her to go. I was so excited. Now, I live on the beach, and every year one of the beach clubs puts on a show. There is nothing like sitting in the cool night sand, and watching the barge in the middle of the ocean launch the fireworks. It is breathtaking. They held the show last night, and each year we have friends over to join. One set has two little kids, and they have been coming since their youngest was 3. I know this show will give her memories that will last a life time! cool pic. I remember that day I couldn’t do the sparklers because they burned my hands.